Land Rover InControl® Apps™ are compatible with most Android™ and Apple iOS® smartphones. Newark and Middletown drivers can use this feature to enjoy seamless integration with the Land Rover InControl touchscreen on models like the new Range Rover. 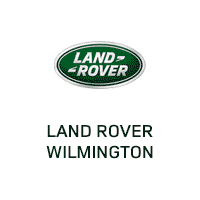 Find out how to use it at Land Rover Wilmington, and contact us with any questions! How Do I Set Up Land Rover InControl® Apps™? Search for Land Rover InControl® Apps™ in the Apple App Store or Google Play depending on the smartphone you have. Select the app, then download, accept, and install it. Make sure the installation was completed by finding the Land Rover InControl® Apps™ icon on your smartphone screen. Follow the Auto Quick Start Guide to complete setting it up. While in your vehicle, pair your smartphone to your vehicle’s Bluetooth to enable phone calls and audio streaming. With the USB cord that came with your smartphone (not a charging-only cord), plug your phone into the InControl® Apps™ USB port (not a charging-only port). If you have an iPhone and InControl Apps is not currently open, open the app now. If you have an Android, select ‘Always Allow’. Leaving your phone unlocked, select InControl Apps on your Land Rover touchscreen. Select View to use apps without audio and select View and Listen to use apps with audio. Select one of the grayed out apps on your vehicle’s touchscreen, read the instructions, and press Start. On your mobile device, approve the pop-up that appears. On your vehicle touchscreen, press the home button. On your mobile device, approve the second pop-up that appears. Repeat for all third-party apps to unlock them on your Land Rover touchscreen. What Apps Can I Use with Land Rover InControl® Apps™? What is the Land Rover InControl® Remote™ App? This smartphone app allows you to interact with your Land Rover remotely on your smartphone or Apple Watch®. You can operate functions like remote start, lock/unlock, climate control, and more. You can also use the app to track your vehicle remotely, get maintenance alerts, check fuel level, and more. Learn more about technologies and comforts you can enjoy with a new Land Rover in the Range Rover family or the Discovery family, then schedule a test drive near West Chester, PA to experience the Land Rover difference in person! You can also rely on Land Rover Wilmington for automotive tips like when to use low gear and more.